Find out how to caramelize onions over on Allrecipes. This is a sponsored conversation written by me on behalf of Allrecipes. The opinions and text are all mine. When my daughter was three, we went out one night for burgers. When the server asked if she would like a plain kids burger, my little gourmand asked if they could put caramelized onions on top. While our server was a bit surprised, when you think about it, there’s nothing not to love about caramelized onions. Even if you’re three. Raw, onions are undeniably intense, but once they have been slowly cooked down, they release all of those spicy notes and tear-inducing gasses and leave only sweetness behind. Allrecipes has picked my method for the relaunch of their how-to section, coming soon. I’m so excited to be working will Allrecipes.com and wanted to let you know to stay tuned for their new How To section. 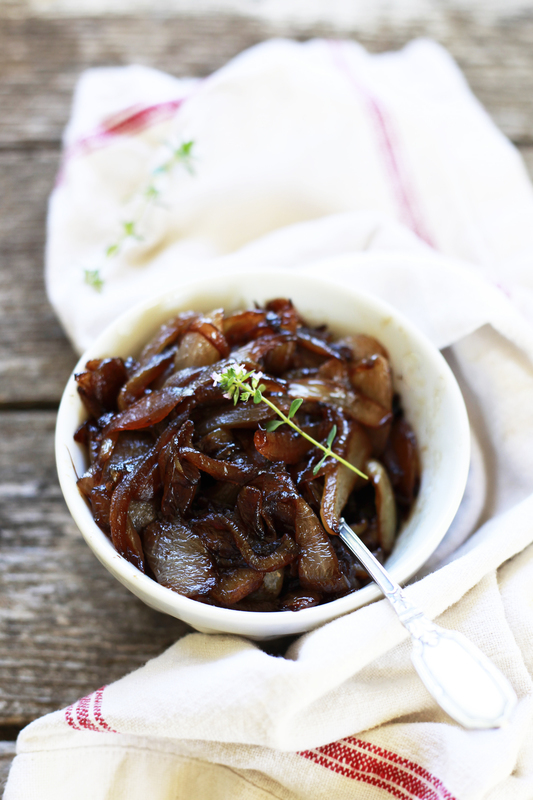 For now, here are some delicious ways to use caramelized onions. so no instructions on how to do this? What’s the point of this, just to say allrecipes used your idea? Heck can’t even click on the all recipes link to find it.